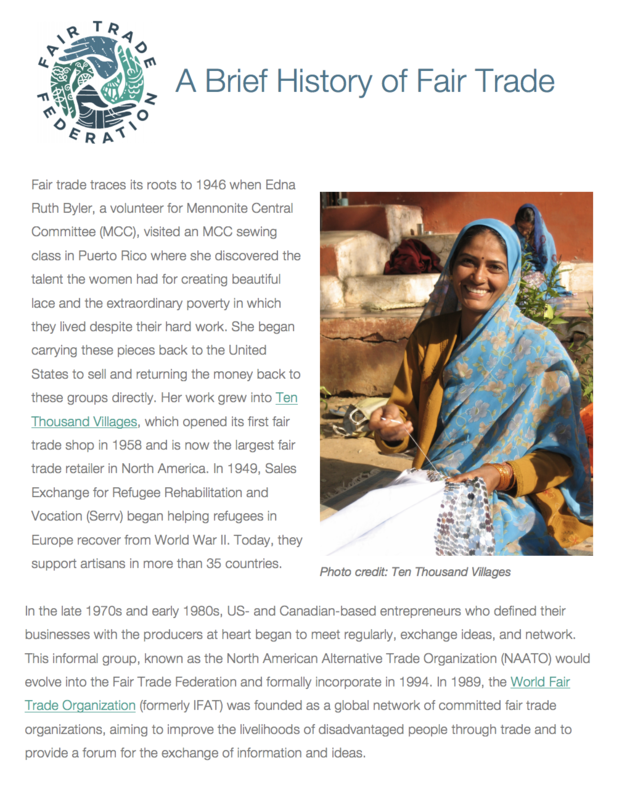 FTF members and others are often willing to share their experiences with aspiring entrepreneurs. 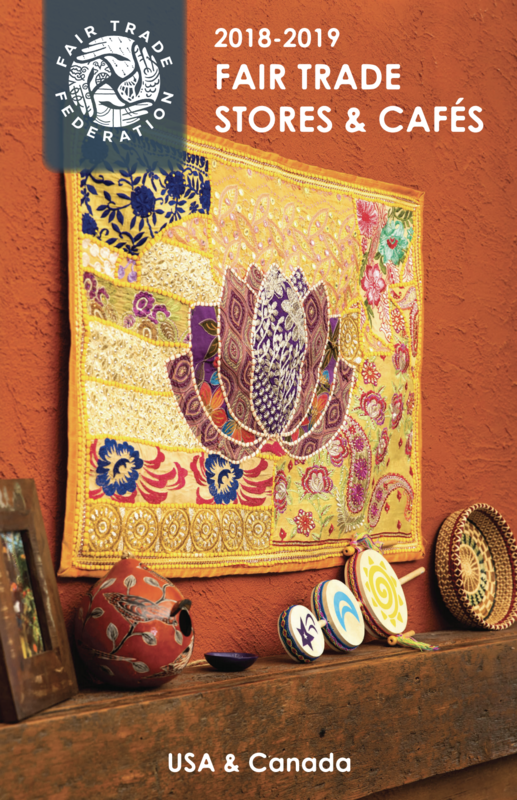 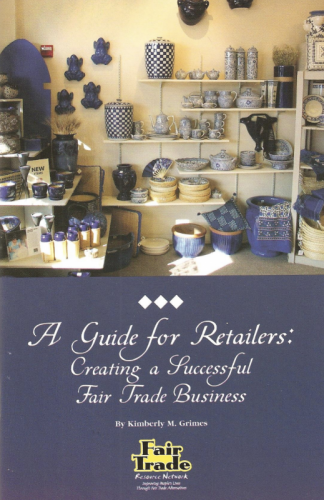 Pictured here is “A Guide for Retailers: Creating a Successful Fair Trade Business,” written by Kimberly Grimes and published in 2004. 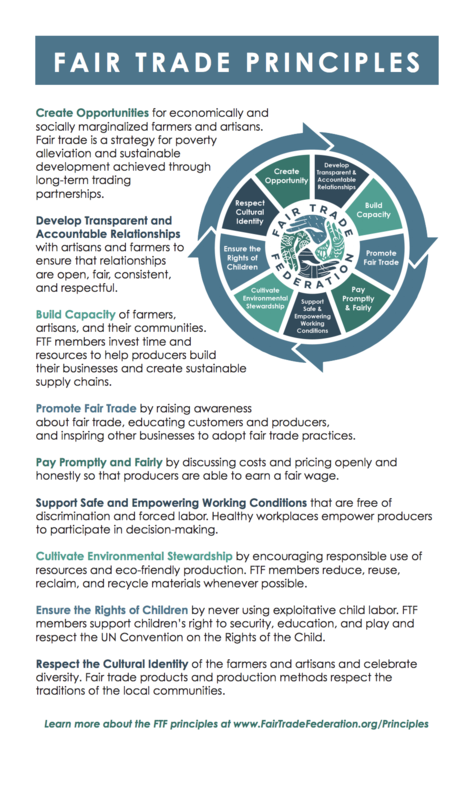 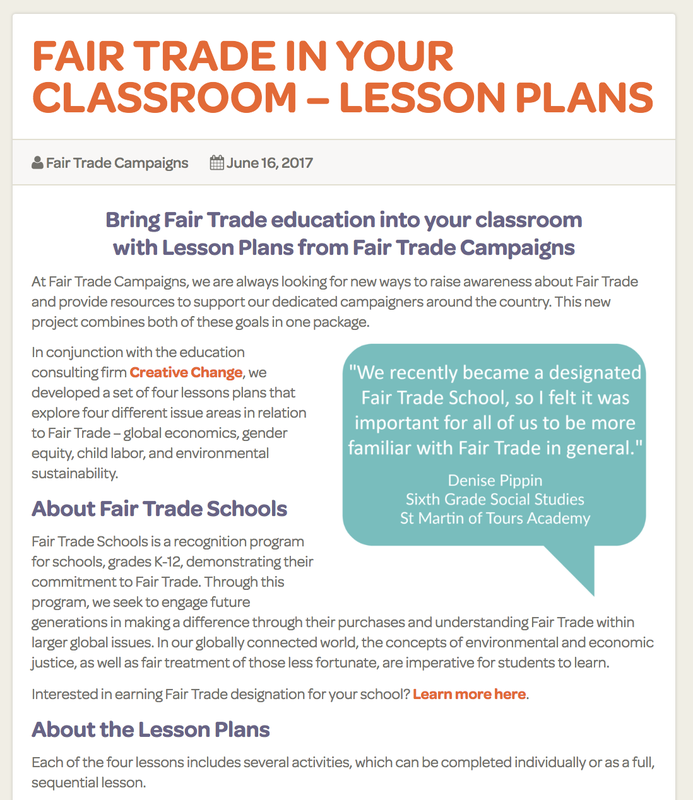 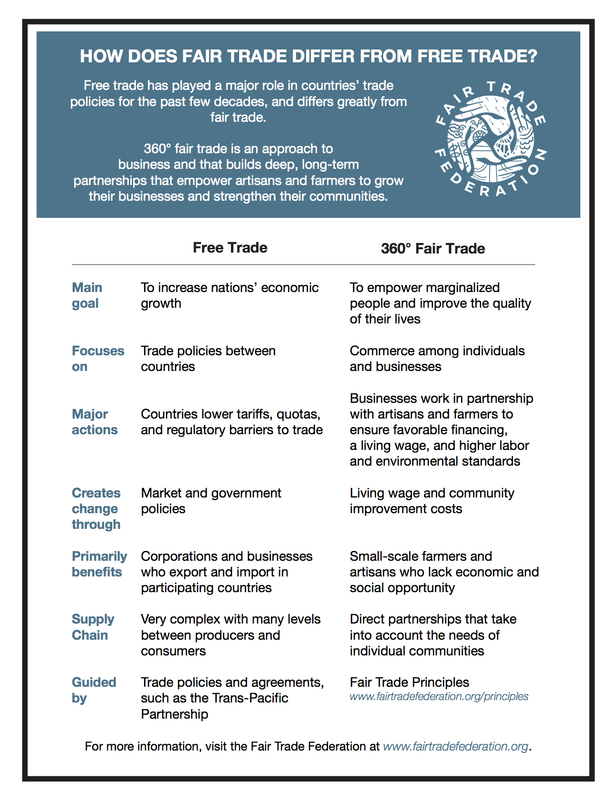 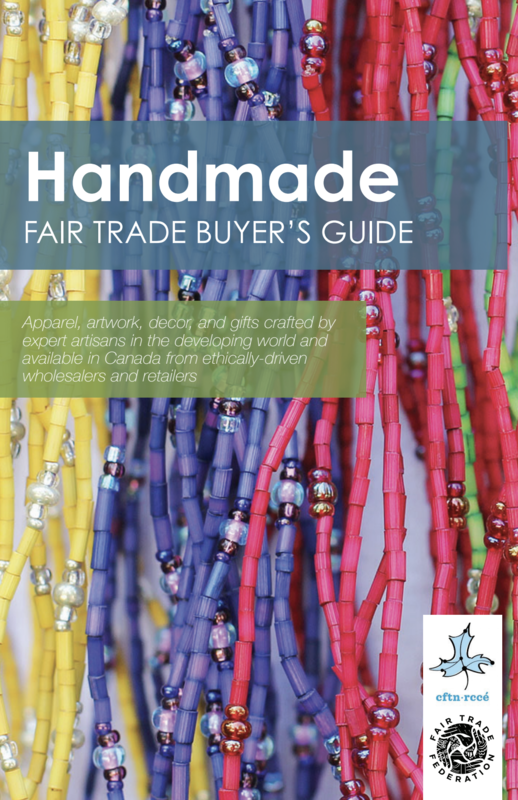 This 1/2 page handout describes the 9 Principles of Fair Trade.